CPXX One-Day Chart. Notice that the stock skyrocketed 400% after announcing positive news. Why Did the Stock Skyrocket? Want to Find the Next Stock to Move Like CPXX? We've put together the Ultimate guide to help you find stocks that are ready to skyrocket like CPXX did today. Click the button below to grab a copy today. Celator still has to do their full analysis of the phase 3 data. Then they will meet with the FDA, and eventually submit a new drug application (NDA). If approved, VEYXOS could become the new standard of care therapy for High-Risk Acute Myeloid Leukemia (AML). Is the Stock Move Justified? After jumping 400%, Celator has a market cap of around $300 million. If VEYXOS reaches it's full potential of $200 to $250 million in annual sales, then $300 million is too low of a market cap. The stock should actually trade at 1.5 to 2 times this amount. But don't expect that to happen right away. Before the stock can march much higher, Celator will have to raise cash. The company has about $19 million cash on hand - or about 1 year worth of cash runway. They'll need a lot more than that to launch the drug themselves. They will no-doubt use their At-The-Market Financing facility to raise about $20 million in the next few days, but this is still not enough cash to launch the drug, so expect a financing in the near future. Is the Feuerstein-Ratian Rule Dead? The Feuerstein-Ratain rule (or F-R Rule for short)- named after biotech journalist Adam Feuerstein and Co-discoverer Dr. Mark Ratain, is an observation about the results of phase 3 cancer clinical trials and how they correlate to the market capitalization of publicly traded biotech stocks. The key observation from the rule is that for stocks with market caps less than $300 million 4 months before the trial data read out, there was a 100% failure rate in the data set that Feuerstein and Ratain examined. After the rule was first described publicly, it has withstood many tests... until now. CPXX clearly shatters the F-R Rule. Should You Buy Micro-Cap Oncology Stocks? Does the shattering of the F-R rule by CPXX that mean you should go out and buy up every sub $300 million Market cap biotech facing a phase 3 oncology trial readout? Remember, at it's essence, the F-R Rule implies that biotech investors are pretty smart about picking winners and losers in oncology trials well before phase 3 results come out. 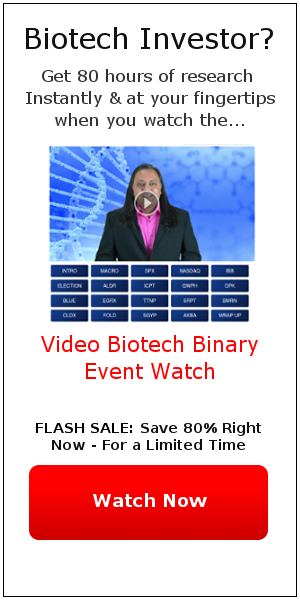 Just because the market got one pick wrong, doesn't mean that the cumulative analysis ability of all biotech investors is irreparably impaired. In general, the F-R rule is likely to stand the test of time pretty well because it's not really about the quality of the companies running the trials - it's a rule about the analysis ability of biotech investors looking at oncology trials. There will surely be other stocks like CPXX in the future, small companies that are neglected by investors while they plug away and suddenly produce an unexpected result. But these will be the exception - not the norm. 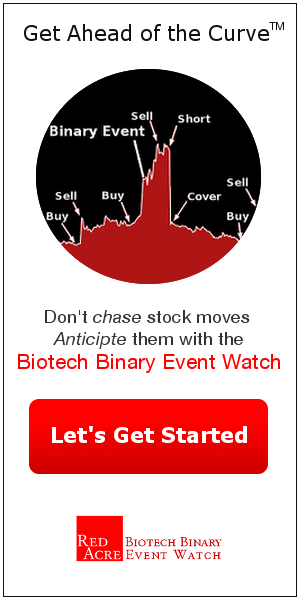 Bottom line - while you might want to spend some time doing due diligence on smaller names, as a general rule you shouldn't be indiscriminately buying micro-cap biotech stocks facing phase 3 oncology data readouts. 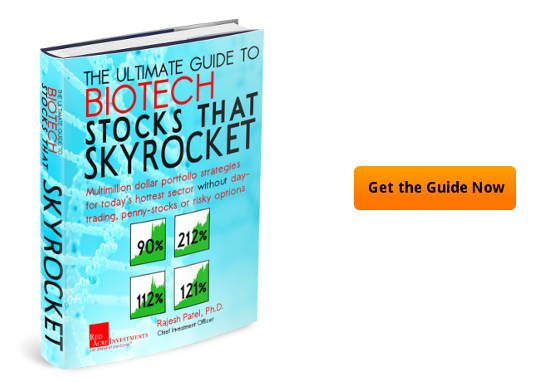 To systematically find stocks that are poised to skyrocket - grab a copy of our "Ultimate Guide to Biotech Stocks That Skyrocket" today.